Supt. of Schools Dale Skinner said Tuesday he will move forward to schedule active shooter training sessions conducted by the Natchitoches Parish Sheriff’s Office. Hopefully they will begin after the Easter break. 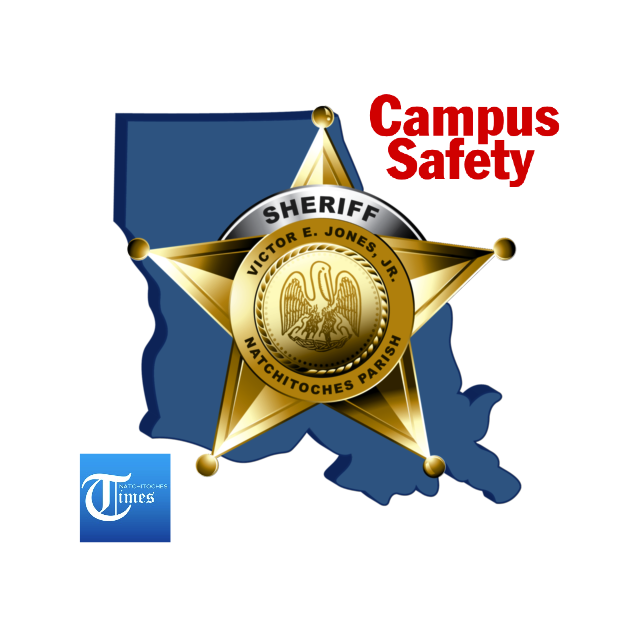 Natchitoches Parish Sheriff’s Office training staff will conduct 90-minute sessions at each school and carry out two active shooter drills each school year. Entities such as the Natchitoches Police and Fire Departments, Natchitoches Regional Medical Center and Ambulance Service will be notified of the drill to ensure first responders are aware of the coordinated and controlled drills Taitano spoke to principals Tuesday afternoon giving general guidelines on how to respond during an active shooter situation. In urging development of individual school plans, Taitano said, “We need to be proactive and develop a good plan now instead of waiting till something bad happens.” Since every school is different, it is up to staff to develop its own protocol. The NPSO provided necessary guidelines to assist in the development of these plans. There are seven key guidelines to an active shooter response plan to an active shooter response plan. Taitano detailed those guidelines that included reporting incidents involving school safety, coping with threats and violence, active shooter emergency action guidelines, protocol for law enforcement response, characteristics of an active shooter, lockdown procedures and performing active shooter training drills. Taitano said most active shooter incidents are planned and the actual incident only lasts minutes. During the shooting at Virginia Tech in 2007 when 32 people died and 17 were injured, half of the victims were those who went to see what was going on. “Never be scared to call us. Never fear calling the police,” he said. “If you see something, say something.” Average law enforcement response is three minutes. Active Response Training teaches that if you can get into a safe location and barricade yourself, your odds of survival greatly increase. “Once law enforcement enters a school, they will go door to door, room to room and listen to the police,” he urged. Deny – Once a safe room is located deny entry to the assailant by locking and barricading the door. Defend/Escape – Defend yourself in case the assailant is adamant about gaining entry or escape out of a window if possible. Notify – Notify 911 of location and situation.